Crochet machines are kind of variant narrow raschel warp knitting machine. 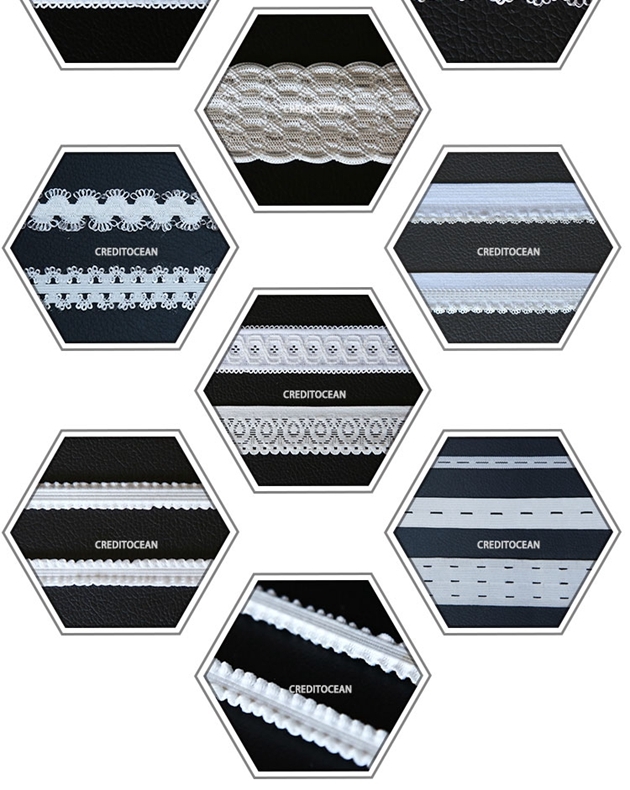 Commonly used to weave lace, tassels, elastic and other narrow fabric warp knitting fabric. 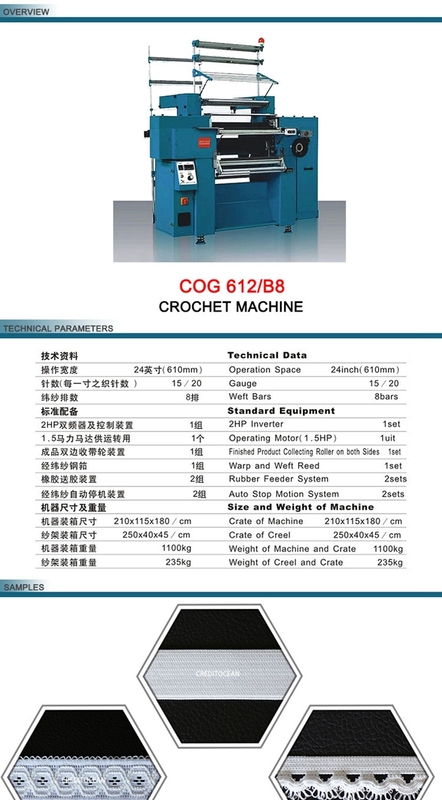 And our crochet machines are durable, high speed , mute, easy operation, convenient maintenance and etc. Machine of small, and use for yarn bobbin creel, thus transform variety is simple, suitable for small batch more varieties of production. 1, It is similar design as comez brand. 90% of our parts can be replaced by comez parts. 2, core components such as double needle bar ,cam ,combs are imported from Taiwan. 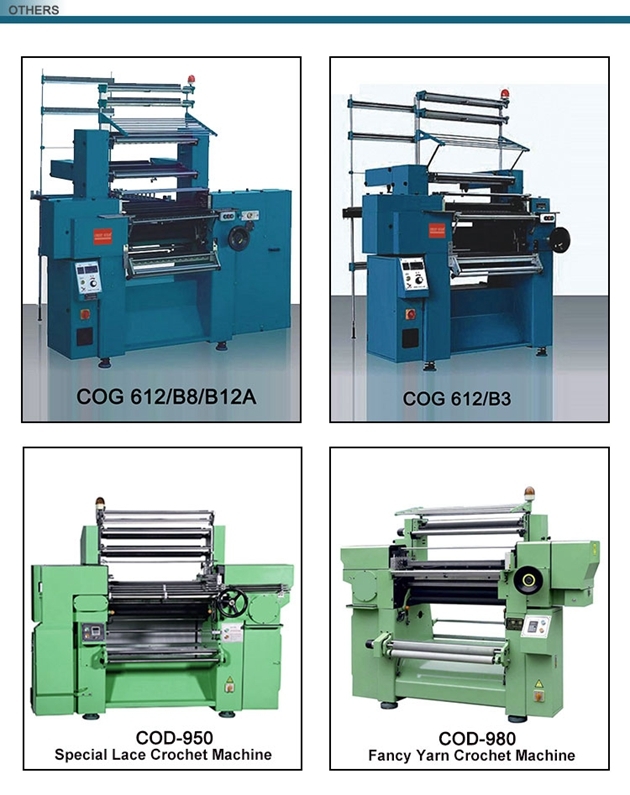 3, yarn feeding system and rubber feeding system are seperated, which make the tension more stable and fabrics nicer. 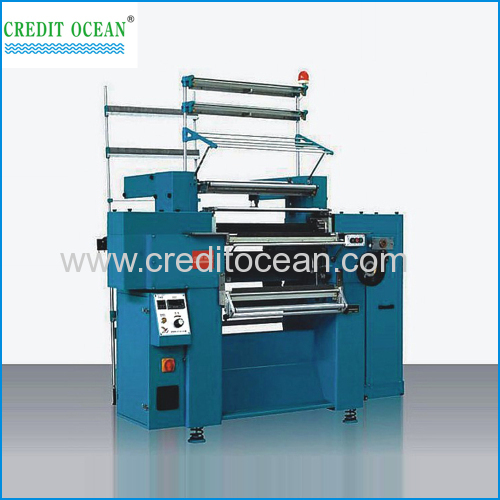 4, we have B3 and B8 new design crocket machine ,with lower price, but higher speed , for some customers who has limited budget. 1. How do you pack the machines ? 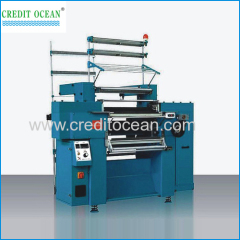 Each machine is packed in standard ply-wooden case. 2. What's your payment terms ? TT, L/C at sight, Cash, Western Union etc. Normal delivery time is about 35 days after getting deposit. Please consutl us for details.